Companies typically develop risk management training programs for their employees, customers and business partners to reduce risks, minimize fraud losses, and comply with regulations. Training programs aim to educate the target audience about specific risks, their responsibilities, company policies and procedures, regulatory compliance, and consequences of not following the established requirements and guidelines. Specific identity and access management training programs may be designed to address proper identification and authentication of individuals, privacy, or identity theft and fraud management techniques including fraud identification, detection and prevention, account monitoring, reporting, and fraud resolution. Educating and training employees, customers and business partners is not only mandatory by various regulations, but also essential for protecting business assets and reducing losses. Effective training decisions are made as companies consider the target audience, training needs, and the best methods for presenting the information to meet company budget and time objectives. Identity Management Institute® offers self study materials as well as online and onsite group training for awareness and education, risk management, regulatory compliance, and professional certification. We also offer our PowerPoint materials for management presentations and customize training materials to reinforce the organization’s policies and procedures. Webinar is a live training conducted by an instructor over the Internet to trainees who view the training presentation on their individual computers or on a large screen in a group setting. Some of the benefits of a webinar include low cost training, travel elimination, timing flexibility, and session recording. Contact us to schedule a webinar. 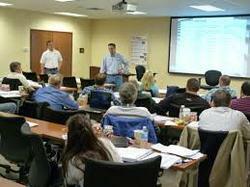 Sometimes organizations prefer an instructor to be on their site when providing the training. Although onsite training is more expensive than a webinar, it provides a little more interaction between the instructor and the trainees. Contact us to schedule an onsite training. 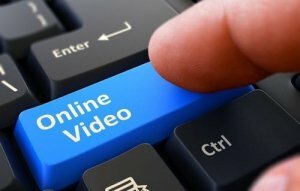 Identity Management Institute offers online video courses for educating employees and the general public as well as training certification candidates. Click the image to view the expanding list of videos. You can also engage one of our certified speakers for your next event whether as a keynote or educational speaker to present topics related to identity theft, privacy, data protection, Red Flags Rule, compliance, or identity and access management. Learn more about our identity theft speaker services. Our training materials can be customized to meet any company needs consistent with established policies and procedures and regulatory requirements. For your unique identity risk management and compliance training needs, please contact us. Identity Management Institute offers a variety of identity theft and Red Flags Rule training options which take into consideration budget, space, and time constrains. 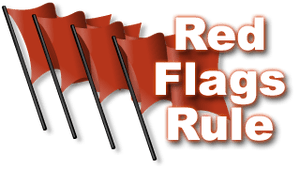 Visit the Red Flags Rule training page to learn more.